WE HAVE OUR WINNER! Lisa Schura, check your email for details on how to claim your prize. Congrats, and thanks to everyone else who entered! In honor of Valentine’s Day, we’re giving away a ton of romantic products during the month of February! 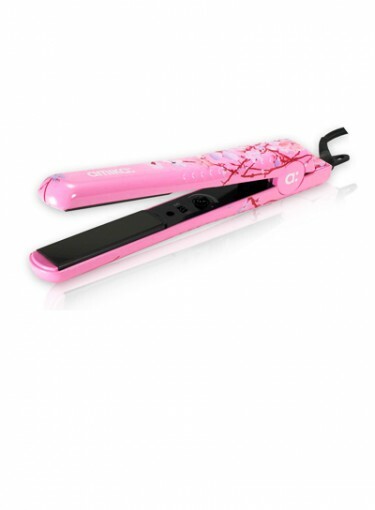 This week, we’ve got this adorable Amika Ceramic Iron adorned with Swarovski crystals (worth $160). The powerful ceramic styler can be used to create straight, wavy, and curly styles. The ceramic plates heat up fast and keep the hair cuticle moisturized, so your hair is always healthy and silky. To enter for your chance to win this ceramic styler, leave a comment with your email address below or on our Facebook page and share this giveaway with your friends.